Our range of products include 21 rod master display abacus, 7 rod abacus, master display abacus and teacher display abacus. 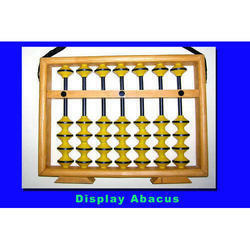 This large sized Teacher Abacus is one of the main tools used by the Abacus Teachers to brain train Abacus Students for showing and displaying the Abacus calculation methods in an Abacus Classroom Activity. Children learning Abacus find it easy and practical to understand the methods while the Abacus Teacher show them it on Master Abacus and Teacher Abacus. 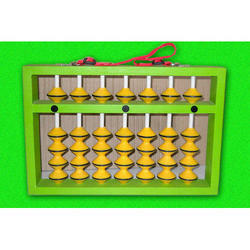 We are engaged in manufacturing and exporting a wide range of teacher abacus with colored beads, frames and in different weight and size combination.We manufacture, supply and distribute super speciality Master Abacus, Teacher Abacus used as Display Abacus for teaching kids the wonderful techniques of Abacus Arithmetic Operation for Abacus Math Classes. The size is suitable to handle classroom of upto 18 kids/children. 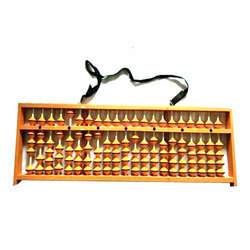 Our specially designed Master Abacus / Teacher Abacus is a jewellery for an Abacus Teacher. Our designed masterpiece brings grace to your classroom and teacher presentations etc. We are engaged in manufacturing and exporting a wide range of teacher abacus with colored beads, frames and in different weight and size combination. We manufacture, supply and distribute super speciality Master Abacus, Teacher Abacus used as Display Abacus for teaching kids the wonderful techniques of Abacus Arithmetic Operation for Abacus Math Classes. The size is suitable to handle classroom of upto 18 kids/children. 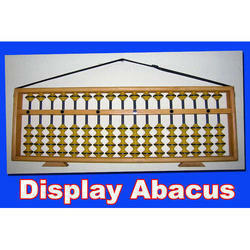 Our specially designed Master Abacus / Teacher Abacus is a jewellery for an Abacus Teacher. Our designed masterpiece brings grace to your classroom and teacher presentations etc.